Cruickshank, Justin and Raphael Sassower, editors. 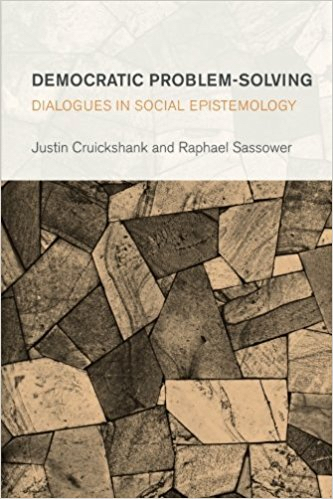 Democratic Problem Solving: Dialogues in Social Epistemology. London: Rowman & Littlefield, 2017. As an outsider to this dialogue and its apparent terms of reference, I was puzzled by the intensity of the concern shared by the participants in this dialogue with the texts (and lives) of just two thinkers—Popper and Rorty. This seemed especially odd since Cruickshank appears to be substantively committed to opposition to neoliberalism, capitalism and states, while Sassower appears to also envision a post-capitalist future, though achieved by non-violent means and via some form of radical reformism. At first sight neither Popper nor Rorty seem to offer much in the way of encouragement or intellectual help for either project. Cruickshank makes a good case for seeing Rorty and Popper as more consistent with one another than they are usually taken to be, and this is one point of agreement between him and Cruickshank. What both of them take from this process of exegesis of their chosen ‘authorities’ (I know they seek to evade ‘authority’, as somehow anti-democratic and philosophically objectionable) is a notion of politics as a continuous, interminable process of democratic dialogue for solving problems. However, problems cannot be defined in advance, and what comes up to be addressed as a social problem is itself a matter for continuing self-reflective critical dialogue. For both ‘sides’ in the debate, it seems that the main value of Popper’s work is his emphasis on the importance of critical dialogue in science, as against the search for philosophically proclaimed foundations for knowledge. Popper is favoured because of his rejection of any ‘absolute’ or ‘ultimate’ source of truth or justification for knowledge claims. In mitigation of this, it might be remembered that the fundamental source of Pepper’s falsificationism was the simple logical asymmetry between universal truth-claims and ones about particulars from the standpoint of empirical confirmation: universal claims were always at risk of disconfirmation by the failure of the next prediction. Of course, truth-claims about particulars are also contestable and theories which have shown themselves robust through many attempts at falsification are unlikely to be jettisoned on the basis of one counter-instance, hence Lakatos’s notion of a research programme. The point I’m suggesting here is that there still is appeal to authoritative criteria—to the value of logical consistency and rules of inference, and also to the corrective power of empirical evidence, albeit tempered by discursive and pragmatic concerns. Cruickshank appears to accept Popper’s conception of political reform as ‘piecemeal social engineering’, as it avoids imposing absolutist prescriptions, as in the supposed ‘laws of history’ advocated by Marx and Marxists. Piecemeal projects can be used to address social problems without commitment to ideological dogmas, and can be made susceptible to revision or withdrawal on the basis of critical dialogue about their consequences, intended or unintended. Although Cruickshank never calls into question Popper’s account of Marxism, but does situate it in historical ‘cold war’ context, it seems that his main target is ‘post-Nietzschean’ erstwhile leftists who replace Marxist historical determinism with a politically stultifying discourse-determinism. Some of my puzzlement was removed by Isaac Reed’s chapter (6), which places Cruickshank’s epistemological anxieties in the context of his rejection of ‘Roy Bhaskar’s critical realism’. The late Roy Bhaskar was, of course, not the only critical realist, and, indeed, saw CR as itself a collective research programme. Unfortunately none of the discussion of that philosophical option takes place in this book, so one is left with a rather qualified use of critical rationalism as the apparent only alternative to ‘high realist’ absolutist philosophies, relativism or idealism, each of which is rejected without much argument. Even Popper’s support for ‘metaphysical realism’ as close to common sense is abandoned as committing him to an epistemological dualism ‘between our beliefs and a reality that is always independent of our beliefs—reality in effect becomes an unknowable domain’ (p. 7). This is an obvious non-sequitur which gets Cruickshank into recurrent difficulties throughout the book. The desk at which I am sitting exists independently of me. If someone else should come into my study when I’m absent, they will find it there. But its existence independently of me or my beliefs about it has no bearing on its knowability, one way or another. The hypothetical intruder may have scraped their initials behind my computer. This may be unknown to me, but it is clearly knowable—I can just check. More fundamentally, that things and other people exist independently of each one of us is a precondition for our having any beliefs at all, otherwise how would we have learned the language of description, how could our senses have given us the means of applying that language appropriately, practically negotiating the world, meeting our various needs and so on, to continue to exist as thinking beings with beliefs? The recurring phenomenon of philosophically educated intellectuals’ finding forms of irrealism unavoidable is puzzling to me. In this debate it is as if somehow acknowledgement of the world independently of our own beliefs about it must necessarily predispose us to authoritarianism and denial of democracy. To the contrary, it could be argued that only with a robust recognition of the autonomy and independent causal powers of other people, institutions, material objects, organic beings and so on could the sort of democratic dialogue, and ‘adaptive’ problem solving that Cruickshank advocates be possible. Reed also raises important questions concerning the epistemological and ontological unity of the natural and social sciences, something presupposed by the Popperian model of ‘piecemeal social engineering’. Quite a lot of issues emerge here. 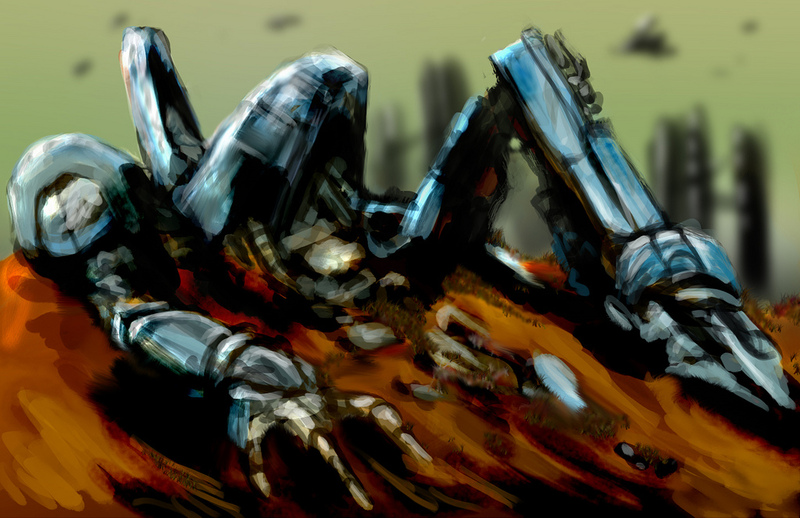 First, physical engineering projects presuppose well-defined problems for which they offer solutions. Many of these ‘problems’ are posed by the commercial priorities or business plans of corporate capital, and may have no relationship at all to wider purposes of reducing human suffering, or, indeed, to any public good. By contrast, it is to these latter purposes that piecemeal social engineering is offered as a response. Other physical engineering projects may be devised and funded by government agencies as, for example, infrastructural investment. In these cases there may well be a claim (sometimes ‘justified’, if I may be permitted) that the engineering serves some general public good. However, as large public resources, including capacities for coordination of large numbers of agents are usually required (for eg enabling broadband access, improving road or rail networks, transferring energy generation from fossil fuels to sustainable sources, etc), the operation will be a state-led, top-down exercise—often with sociologists employed to monitor the down-stream ‘social impacts’. Given the scale of the projects involved, and the extended time-scale from initiation through planning to implementation (not to mention the longevity of the resulting engineering solution that would be required to justify the investment) there could be little room for the ‘permanent revolution’ of critical engagement with the basic science involved: even if it is always rightly acknowledged to be fallible, the provisional reliability of much extensively tested knowledge simply has to be assumed, otherwise nothing at all could be done. Moreover, in the case of physical (or chemical, biological etc.) engineering projects the fields of scientific knowledge which are applied are likely to involve highly technical concepts beyond the comprehension of non-specialist members of the public (as in ‘expert systems’), so while there may be democratic critical responses to outcomes, this is unlikely to extend far up the chain to the basic science. Social policy, too, is predominantly formulated by political parties, and implemented in government. However, the knowledge-base is likely to be both open to wide public scrutiny, and democratically contestable in ways that the physical sciences are not. In so far as policy is grounded in social or economic theory, the attitudes, beliefs and forms of understanding of those to whom the policy applies must play a key role in the theory, even where technical explanatory concepts are also used. I am not here, of course, advocating a dualist opposition between the methodologies and ontologies of the natural and social sciences in favour of a hermeneutic model of the social sciences. Rather, my claim would be that among the diverse fields and sub-fields in the life, social, historical, physical, chemical etc. sciences there is a huge and overlapping diversity of method and correspondingly specific methodological canons and explanatory models emergent in each. This makes any simple transfer of the model of public engineering to the problems of knowledge creation, policy formation and implementation in politics implausible. The idea that social policies could be tried, one-by-one, as independent quasi-experiments, modified or rejected on the basis of critical discussion of results is initially appealing as telling in favour of the ‘engineering’ analogy. Indeed, it might seem that this is more plausible for social policy, which generally involves much less investment of resources, and can also be piloted on a small scale. However, this is to neglect several key structural features of liberal democracies. First, social policies are formulated by large-scale social movements or political parties, and to be implemented have to be adopted by governing parties. In other words, they come up for implementation as parts of the overall political programme of a successful coalition of social, economic and political forces. They may draw upon social knowledge-claims, but these are knowledge-claims that fit more-or-less coherently within a wider ideological formation. So, for example, tax cuts for the rich and big corporations is a policy prescription that plays a key role in neoliberalism which rests on the hypothesis that it releases more capital for private investment, which, in turn, leads to economic growth and more jobs. This is not a policy the consequences of whose implementation can be measured, with abandonment in case it doesn’t produce the expected results. There are too many intervening variables, uncertain timescales, contestable measuring instruments and so on. More deeply embedded ideological commitments will also buttress the policy: individuals know best how to spend their money and it is oppressive for states to appropriate their income, assuming it knows best what is good for them (etc). In effect, public policy in liberal democracy is more like utopian social engineering than it is like its piecemeal opposite (though, in the case of neoliberalism, this is experienced by many as dystopian, rather as in Popper’s paradigm case of Stalinism). Cruickshank may well object to this line of argument that the dialogic democracy he has in mind is envisaged as resting on quite different institutional grounds than current liberal democracy. That is an entirely fair point, but it raises further questions. As I understand him, Reed makes the point that Cruickshank writes in broad philosophical terms without specification of the institutional forms that might underpin his vision of dialogic democracy—just that it should involve as many issues and as many people as possible. There is a parallel here with Habermas’s rather beautiful notion of an ideal speech situation—but Habermas does specify quite closely what conditions must be satisfied for any approach to its realisation. Cruickshank and Sassower and their co-authors would probably agree that the institutional and socio-economic power relations of ‘actually existing’ liberal democracies tell against the sort of dialogical policy formation and implementation that they favour: in the UK, the overwhelmingly conservative bias in mainstream media, combined with false and unreliable ‘news’ flooding social media, lack of rights for ‘whistle blowers’, legislation restricting trade union rights and political campaigning by charitable organisations and so on. There is a serious ‘catch 22’ here—how do we employ dialogic democracy when the conditions for it don’t exist? Here we come to another source of puzzlement I have about this discussion. Both main authors are committed to quite radical substantive political values and objectives. Sassower claims to have some affinity with Marxism (despite at one point referring to ‘rabid Marxists’—are we all rabid, or is it that Marxists are just more susceptible to rabies than proponents of other points of view? ), while Cruickshank wants to persuade people of the need to transcend neoliberalism, capitalism and—even—the state. In part my puzzlement is about the oddity of grounding most of the discussion in exegetical commentaries on Popper’s and Rorty’s epistemologies, at the expense of providing reasons and evidence in favour of their political aspirations. There is a huge discursive gap between taking, e.g., a critical rationalist position in epistemology, advocating a particular approach to dialogue and promoting their various substantive political platforms. Why suppose that dialogical democracy would take us to acceptance of those particular programmatic aims? Surely there is something inconsistent in their presumption that critical problem-solving without appeal to authority would lead to where they want to go. More substantively, much of the analysis that would be needed to take forward a struggle for the radical aims that Cruickshank, and probably Sassower, too, propose is missing. The latter sections of the book include welcome shifts from exegesis of their favoured intellectual authorities, to socio-economic and political analysis. Much of this, including political economy of food, transformations in higher education, and a chapter on ‘Brexit’ is very interesting and well-informed. However, methodologically it seems to be based on the same sources of evidence and modes of argument that one would expect in ‘mainstream’ realist political sociology. It is none the worse for that, in my view, but it does call into question the pertinence of the epistemological wriggling in the earlier parts of the book. However, there is no substantive analysis of extant movements for change, their relative strength and prospects, their values and cognitive innovations. Cruickshank’s illuminating discussion of Brexit, for example, represents the opposed ‘elite’ campaigns as being conducted over the heads of a passive and disengaged public. However (and sadly) there was passionate and active involvement on the part of ‘lay’ brexiteers, and there are many reports of real emotional distress experienced by remainers when the result came in. Some of the problems, I think, have to do with the referendum as a populist substitute for democratic dialogue. But even there, the Scottish independence referendum genuinely engaged large sections of the public and radical, progressive politics emerged. The analyses in this book, oddly, tended to omit reference or serious attention to subaltern social or political movements (eg in the discussion of higher education changes, little attention to active resistance). Finally, on the politics, there is a fairly clear indication what we are against—but little attempt to present a positive image (albeit contestable!) of what the alternative might be and why it might be better. So, for example, Cruickshank’s wish to transcend capitalism might seem well grounded, but what about transcending the state in a situation where we are fighting in defence of public services against a neoliberal strategy of shrinking the state? What is ‘the state’ that is to be transcended? What alternative institutions might serve the interests of social justice, social coordination and the meeting of need? At times it is difficult to work out exactly what the differences are between the interlocutors in the volume. This is partly a matter of so much of the debate being conducted indirectly through reinterpretations of Popper and Rorty, and partly because of a tendency on the part of Cruickshank in particular to caricature the views of his opponent(s). One example here is the treatment of the role of public intellectuals. Sassower rightly gives some attention to the work of Gramsci (but not enough in my opinion), while Cruickshank characterises his position as an instrumental, ‘technocratic’ one in which ideas are passively consumed by an inactive lay audience. Cruickshank’s alternative is one in which ‘academics’ work together with others in a ‘democratic co-production of knowledge’. But this is clearly a false opposition. Gramsci’s concept of an organic intellectual certainly does not restrict its reference to academics, and advocates a practice grounded in and engaging critically with the ‘common sense’ of the population. For him, everyone is an intellectual. Finally, given the politically as well as epistemologically critical self-conception of the authors, some absences from the discussion are surprising. First, although the texts would have been written well before the UK general election, there was already strong evidence of an upsurge of radical activism in the Labour Party, inspired by Corbyn and others in the new leadership. The Party has clearly shifted well to the left and, in particular, is challenging key features of neoliberalism. Bernie Sanders, in the USA seems to represent something similar (mentioned by Sassower). These shifts of popular sentiment and activity are clearly significant for the professed politics of the authors but are given little attention. Second, I can find no mention of what is perhaps the deepest challenge to neoliberalism (and, indeed, to human life itself): the global crisis in our relation to the rest of nature, symbolised by climate change, but expressed in dramatic rates of loss of species, oceanic pollution, the threat of endemic disease and so on. This is a crisis most fully addressed in a wide-ranging debate within modern Marxism—which, apparently unnoticed by our authors, has moved beyond the Stalinist dogma which so repelled Popper. Let’s hope the dialogue continues!